The Winnipeg MP said that many Saskatchewan farmers feel their property isn't respected. 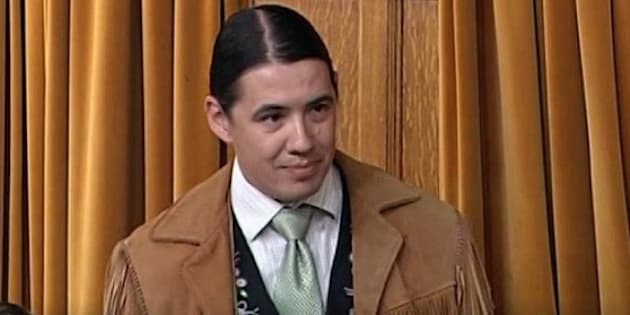 Robert-Falcon Ouellette speaks in the House of Commons on May 4, 2017. The MP is under fire for saying he felt bad for both the Boushie and Stanley families after Gerald Stanley was acquitted of second-degree murder in the shooting death of Colten Boushie. Comments made by a federal MP about Gerald Stanley's acquittal are "reckless" and could lead to more violence, a Manitoba grand chief said Monday. Liberal MP Robert-Falcon Ouellette told the Winnipeg Free Press that he felt sorry for both the Boushie and Stanley families. "I'm really sorry for the Boushie family. But I'm also sorry for the Stanley family ... The Stanley family, and many farmers in Saskatchewan, have the feeling that their property is not respected and people come on to their farms and steal their stuff," the Winnipeg Centre MP said. "They've essentially lost two years of their lives. They've faced legal bills and great difficulty." He said that Saskatchewan is "a lawless state in some ways," because the RCMP doesn't respond to theft quickly enough. Gerald Stanley was found not guilty of second-degree murder by a jury in Battleford, Sask. on Friday. A jury found Stanley not guilty of second-degree murder on Friday. He was accused of shooting Colten Boushie, 22, in the head after an SUV drove onto Stanley's farm near Biggar, Sask. Stanley's lawyer argued that the fatal shot was an accident. Ouellette hails from Red Pheasant First Nation, the same Cree nation that counted Boushie as a member. The Assembly of Manitoba Chiefs slammed Ouellette's comments on social media. "Two years doesn't compare to the entire life that Colten Boushie lost in 2016," the Assembly wrote. "How is it even possible for an elected representative of the Government of Canada, who ran as an Indigenous candidate, defend the taking of a human life in order to defend property and 'stuff'?" asked Grand Chief Arlen Dumas. "Our teachings speak to the sacredness of human life and these comments fly in the face of what our ancestors have been teaching us since time immemorial." "For a prominent Indigenous MP to support the right of an individual to defend their property in this same manner is reckless and dangerous, and could result in an increase in violent confrontation and the deaths of more innocent people ... No property is more valuable than a human life and the AMC stands and fully supports the Boushie family in their quest to change the way First Nations people are treated in the criminal justice system." Grand Chief Arlen Dumas speaks during a signing ceremony to improve child and family services in Manitoba First Nations communities in Ottawa on Dec. 7, 2017. Neither Ouellette nor the Assembly of Manitoba Chiefs immediately responded to requests for comment. The MP made similar comments in an interview with CBC News on Saturday. He called Boushie's death "an abject failure of our society." Farmers in Saskatchewan feel that they have to protect their property on their own, he said. He also said that it was disappointing to hear that the jury for Stanley's trial didn't reflect the province's population. Boushie's cousin, Jade Tootoosis, previously said that defence lawyers rejected all visibly Indigenous people during jury selection. Sixteen per cent of Saskatchewan's population identifies as Aboriginal, according to Statistics Canada.